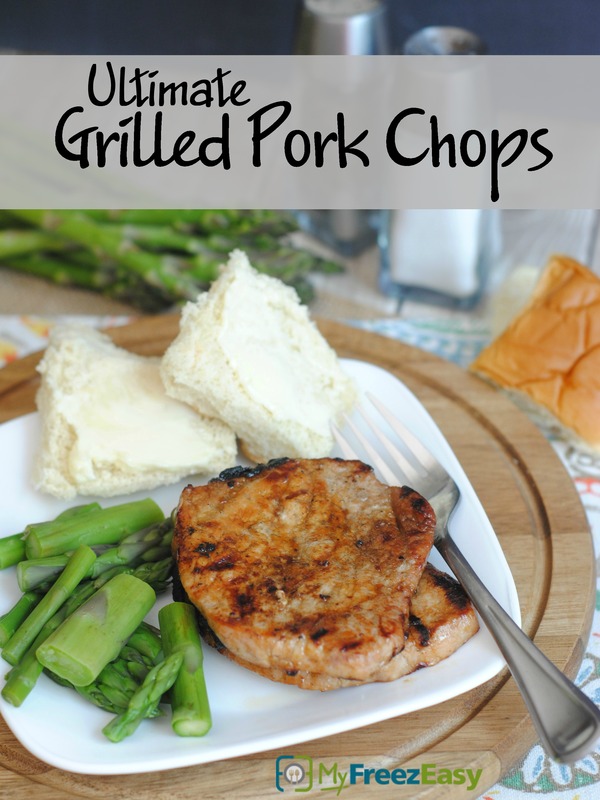 Simple ingredients come together to make these truly the ultimate pork chops. In a small mixing bowl, whisk together the canola oil, soy sauce, honey, minced garlic and minced onion. Place on the grill and brush with the marinade. Discard remaining marinade. Grill for 5 to 6 minutes per side, over direct heat, or until cooked to 145 F. Cooking time may vary depending on thickness of the chops. Let rest 5 minutes before serving and slicing. Prepare the veggies and dinner rolls. 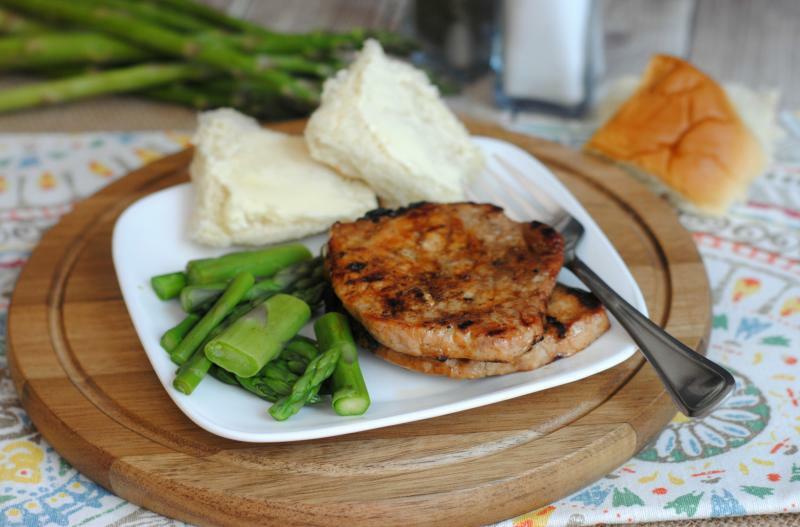 Serve Ultimate Grilled Pork Chops with dinner rolls and veggies. In a small mixing bowl, whisk together 2/3 cup canola oil, 2/3 cup soy sauce, 2 Tbsp honey, 2 tsp minced garlic and 2 tsp minced onion. Alternative Cooking Method: Bake at 350 F for 25 to 30 minutes, or until pork chops are cooked through. Recipe is gluten-free when made with gluten-free soy sauce. Serve with fruit and salad.